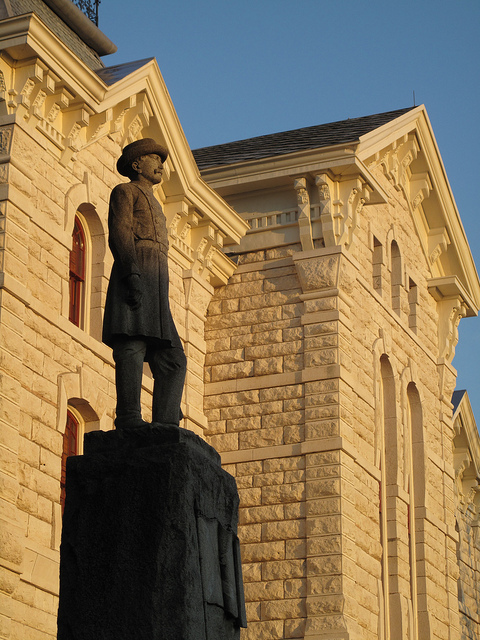 This lovely Hood County Courthouse was built in 1890 and is the third (or 5th depending on the source) courthouse on the site with the first two being destroyed by fire. The limestone building is one of three Hood County properties on the National Registry of Historical Places. 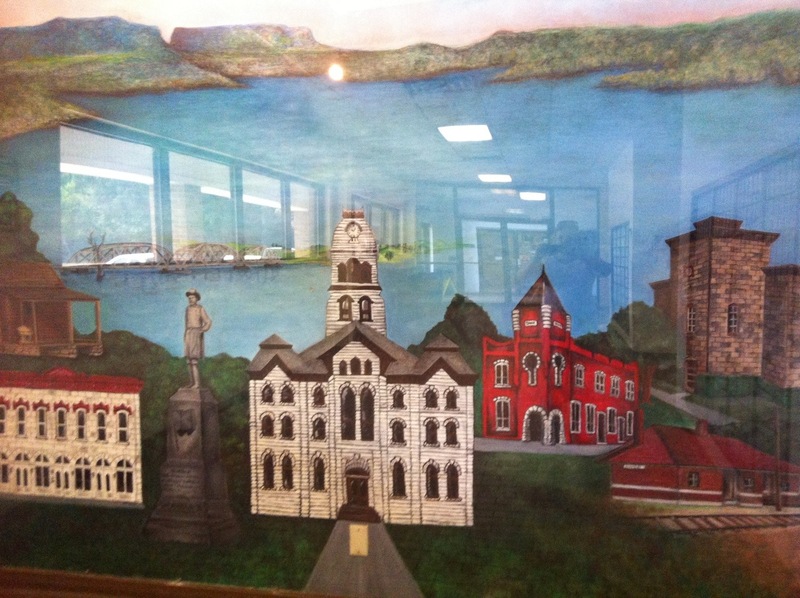 The middle picture is a mural at the Granbury Post Office that shows the courthouse and several other historic Granbury properties. 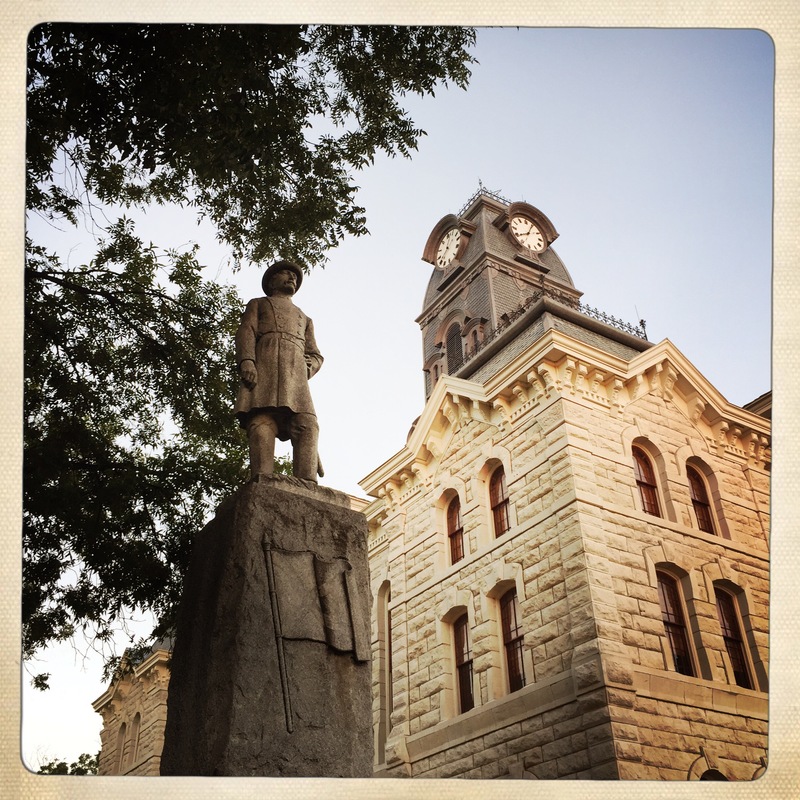 This entry was posted in Government, Granbury, Historic Sites, National Historic Register, Other States - Texas and tagged clock tower, courthouse, fire, Granbury, hit, Hood County, limestone, statue, stone, Texas on August 7, 2012 by admin.